The acquisition of language is one of the most remarkable human achievements. When language acquisition fails to occur as expected, the impact can be far-reaching, affecting all aspects of the child's life and the child's family. Thus, research into the nature, causes, and remediation of children's language disorders provides important insights into the nature of language acquisition and its underlying bases and leads to innovative clinical approaches to these disorders. 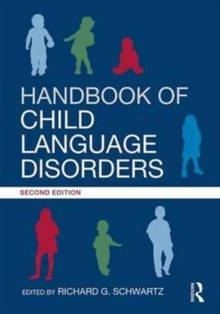 This second edition of the Handbook of Child Language Disorders brings together a distinguished group of clinical and academic researchers who present novel perspectives on researching the nature of language disorders in children. The handbook is divided into five sections: Typology; Bases; Language Contexts; Deficits, Assessment, and Intervention; and Research Methods. Topics addressed include autism, specific language impairment, dyslexia, hearing impairment, and genetic syndromes and their deficits, along with introductions to genetics, speech production and perception, neurobiology, linguistics, cognitive science, and research methods. With its global context, this handbook also includes studies concerning children acquiring more than one language and variations within and across languages. Thoroughly revised, this edition offers state-of-the-art information in child language disorders together in a single volume for advanced undergraduate students and graduate students. It will also serve as a valuable resource for researchers and practitioners in speech-language pathology, audiology, special education, and neuropsychology, as well as for individuals interested in any aspect of language acquisition and its disorders.